This is Part V in a series of posts about the history of Vitech. Part I recounts the company’s beginning, in 1992. Part II tells the story of an influential mentor. In Part III, Vitech helps a company weather the Y2K transition in the late 1990s. In Part IV, the company helps in the redesign of a classic infantry carrier vehicle. Part VI concludes the history with two of Vitech’s executives noting the idiosyncrasies that evolved from the genesis of systems engineering in specific fields and encouraging us to expand our thinking on how systems engineering can help meet the challenges of the 21st century. Recognizing that a true systems engineering practice comprises a way of thinking which is supported by an effective set of processes, methods, and tools, David Long, president and founder of Vitech Corporation, had always known that training and education would be a key part of the business. For Vitech, that meant training in a specific sense—how to tackle a particular problem and bring all the power of the model-based systems engineering tool CORE to bear on it—but also in a broader sense: How would a systems thinker look at a given problem? How do we apply systems thinking to the big problems of our time? In a world where problems are becoming orders of magnitude more complex than they were in a technologically simpler time, Long believes that systems engineering is needed more than ever. Yet the profession of systems engineering has seen a hollowing out of its ranks, what some have called the “bathtub effect.” Many engineers who performed systems engineering functions, though perhaps not under the title “systems engineer,” were hired into their respective industries in the 1960s and ’70s. New hiring then dropped off for a number of years before recent college grads were again hired to perform these functions. When one graphs this on paper, it looks like a transect view of a bathtub. To encourage young engineers to pursue a career in systems engineering, Vitech management decided to provide its software free to universities. Thus was born, in 1997, the university program. This endeavor allows students to apply real-world systems engineering software, often for the first time. CORE in the Classroom provides free access to the full capability of CORE to instructors and students alike as graduate and undergraduate students study systems engineering. In the CORE for Research program, Ph.D. and post-doctorate researchers apply full commercial versions of CORE and GENESYS in their academic research as they advance the state of the art in systems engineering. Graduates describe the program as invaluable, opening their eyes to the power of an integrated systems engineering environment while reinforcing the systems engineering principles and methods used during requirements elicitation and management, behavior analysis, architecture definition, systems integration, and validation and verification. Through the gift of CORE licenses from Vitech, we at the Aerospace Engineering Department at Cal Poly, Pomona have been able to craft a senior-standing, model-based systems engineering elective course which follows on from our Fundamentals of Systems Engineering course which all students must take as part of our curriculum. In this upper division course, we use CORE to specifically teach the concepts of relational knowledge used to describe a target system’s operational scenarios, its functional underpinnings, its physical architecture, and the requirements and analysis that tie the entire knowledge base together. Student feedback has been very positive, especially from those who went on to become systems engineers upon graduation. Since the program began, more than 80 universities around the world have taken part, and tens of thousands of students have learned the principal concepts as well as the nuts and bolts of systems engineering. By 2009, Long realized that there were enough misperceptions about the practice of systems engineering—even among systems engineers—that a basic overview of the discipline was in order. Together with Zane Scott, Vice President for Professional Services at Vitech, he wrote the book A Primer for Model-Based Systems Engineering. 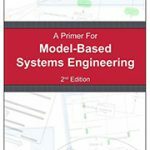 The book reviews the basic concepts of model-based systems engineering, and serves as a call to consider the foundational principles behind the concepts. Since its publication in 2010 and with a second edition in 2011, the primer has served as an instructional text to students new to the discipline, as well as a guidebook for practitioners seeking to refine their craft. The book has been translated into a number of languages, including Japanese. By the first decade of the 21st century, Long’s presentations and participation at systems engineering conferences around the world had earned him a name for himself and his company within the community. Vitech has been a supporter of the International Council of Systems Engineering (INCOSE) since Vitech’s inception in 1992. Vitech has been a long-standing member of the Corporate Advisory Board, providing support and guidance to the organization. In addition, Vitech team members have been active in technical working groups, at the local chapter level, and in leadership roles. Both Long and his father served as president of the Washington Metropolitan Area Chapter, then the largest chapter in INCOSE. 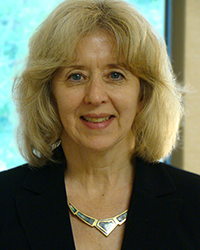 Long was subsequently elected to multiple roles on the international Board of Directors, including a term as INCOSE’s Director for Strategy. In 2006, Long received the prestigious INCOSE Founders Award in recognition of his many contributions to the systems engineering organization. In 2012, Long was asked and then elected by INCOSE members to complete a presidential term that had been vacated by the death of his close friend and fellow systems engineer David Wright. (In fact, before his death, Wright and Long were so frequently seen together at INCOSE events that they were referred to as “the two Davids.”) This meant finishing out Wright’s remaining year as president-elect and then serving two years as president. Long completed his term as president in January 2016. As INCOSE president, Long helped INCOSE celebrate its first 25 years while positioning the organization for the future. During his term, INCOSE increased its publication of impactful products, alone and in partnership, including technical guides, frameworks, and the fourth edition of its foundational Systems Engineering Handbook. INCOSE diversified its publications, developing a new practitioner’s magazine emphasizing the applications dimension of the profession. Among many other initiatives, Long supported the development of Systems Engineering Vision 2025 to guide systems engineering as it rises to the challenges of the future, and chartered the INCOSE Institute for Technical Leadership to help develop the next generation of systems engineering leaders for INCOSE and the greater profession. Perhaps most importantly, Long led the redefinition of the organizational core values, principles, long-range plan, and strategic objectives for INCOSE’s second quarter century. While Long worked to advance INCOSE and its products, he also served as an ambassador and advocate for the greater systems engineering profession. During his presidency, Long delivered over 100 keynotes and presentations while visiting over 75 organizations and supporting 42 events on five continents. He counseled senior leaders around the world in government, aerospace, automotive, health care, energy, and transportation on the value, practice, and future of systems engineering. Long’s signature address, Building for Tomorrow: Towards 21st Century Systems Engineering, delivered at the 25th anniversary INCOSE International Symposium in 2015, was referenced across systems engineering as a unifying challenge to advance the systems engineering practice. As Long concluded his term as INCOSE president, he left INCOSE with a guiding principle and a critical reminder instilled in him as a student at Virginia Tech. Citing Virginia Tech’s motto Ut Prosim (That I May Serve), Long reminded systems engineers of their mission and commitment to serve customers, stakeholders, and the greater world as they deliver value through their systems in an effective and efficient manner. Quoting poet Nikki Giovanni, Long challenged INCOSE that “We are better than we think and not quite what we want to be,” balancing appreciation for what we have achieved and those who make it possible with grace when we fall short and hunger for a better tomorrow for INCOSE and systems engineering.